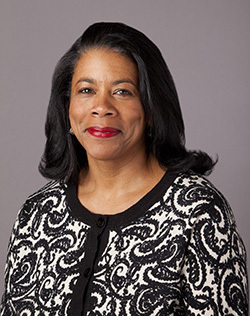 WNBA President Laurel J. Richie is the next speaker in the University Lectures series on Wednesday, March 18, at 7:30 p.m. in Hendricks Chapel. In her presentation, “The WNBA: Showing the World What’s Possible,” Richie will describe her experiences in her three-decade career of developing award-winning campaigns that transform brands and drive business results. The event is free and open to the public. American Sign Language interpretation and Communication Access Real Time are available. Richie is responsible for setting the vision for the WNBA and overseeing all of the league’s day-to-day business and basketball operations. During her three years as president, Boost Mobile signed on as the league’s first marquee partner, ESPN extended its broadcast partnership through 2022 and the league reached a new collective bargaining agreement with the players and their union. Prior to joining the WNBA in 2011, Richie was senior vice president and chief marketing officer for Girl Scouts of the USA, where she was responsible for the organization’s brand, communications, publishing, marketing and Web-based initiatives. Earlier, Richie spent more than 20 years at the Ogilvy & Mather advertising agency, where she worked on a series of campaigns for prominent clients, including American Express, Pepperidge Farm, Pond’s, Huggies and Kotex. She is a recipient of the Black Girls Rock Shot Caller Award and the YMCA’s Black Achiever’s Award; was named by Ebony magazine as an Outstanding Woman in Marketing and Communications; and was named by Black Enterprise as one of the Most Influential African Americans in Sports. Richie is a graduate (with a bachelor’s degree in policy studies) and trustee of Dartmouth College. Less than a week after Richie’s presentation, the University Lectures spring season concludes on Tuesday, March 24, with National Geographic photographer Annie Griffiths, who will share vignettes of her photographic experiences in the presentation “From Photojournalist to Photo Activist: The Ripple Effects Image Project.” Along with her award-winning photography work, Griffiths is the executive director of Ripple Effect Images, a collective of photographers who document the programs that are empowering women and girls in the developing world, especially as they deal with the devastating effects of climate change. The Office of University Lectures welcomes suggestions for future speakers. To recommend a speaker, or to obtain additional information about the University Lectures series, contact Esther Gray in the Office of Academic Affairs at 315-443-2941 or eegray@syr.edu. More information can be found on the series’ website and on Facebook.